We appreciate all you do to help save the community's water supply. Thornton wants to reward water customers for taking the steps to save even more water. Check out the programs below and cash in on the water savings. Receive a $75 rebate for replacing an older toilet with a new EPA Water Sense labeled toilet. See the list of EPA WaterSense qualifying toilets at EPA Water Sense. Standard 1.6 gallon per flush toilets do not qualify. Rebates are for residential customers in the Thornton water service area. There is no longer a pre-1994 build date requirement to qualify for this rebate. Commercial and Multi-Family buildings constructed before 1994 are eligible for toilet and urinal rebates. 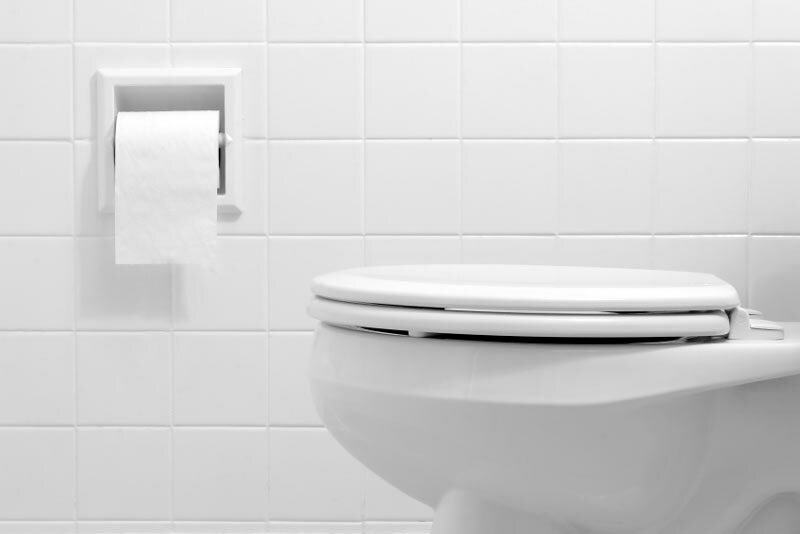 Rebates of $75 will be applied to the business or apartment building water account for each EPA WaterSense certified toilet that replaces an older toilet. Rebates for the replacement of older urinals and flushometer toilets are up to $150 per WaterSense fixture. The program is offered on a first-come, first-served basis and is limited to 100 fixtures per property per year. Property owners or managers can call 720-977-6600 or e-mail Water@ThorntonWater.com to obtain required project pre-approval if planning to replace more than 10 toilets. If you are replacing less than 10 pre-1994 water wasting toilets, pre-approval is not required. 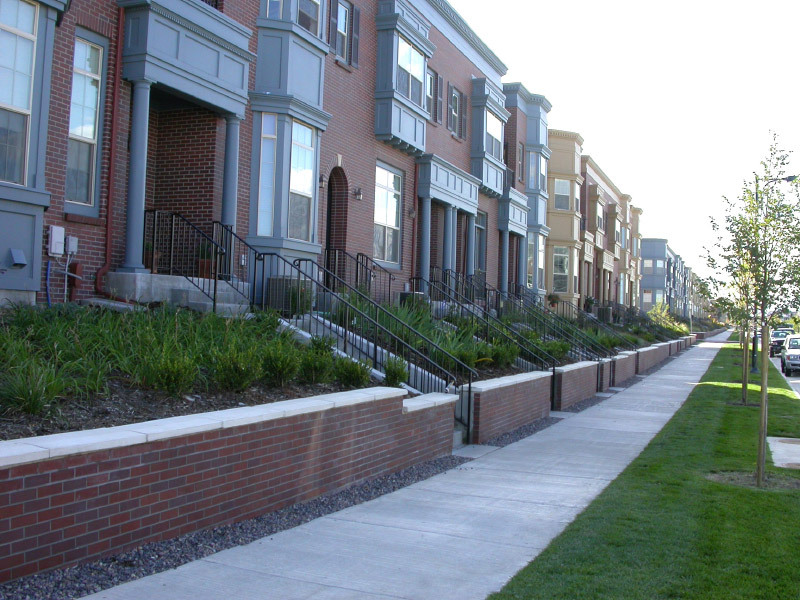 Click here to see how much water a local apartment property saved when they replaced 80 old water wasting toilets. Rebates are for residential, commercial and multi-family water customers in the Thornton water service area. 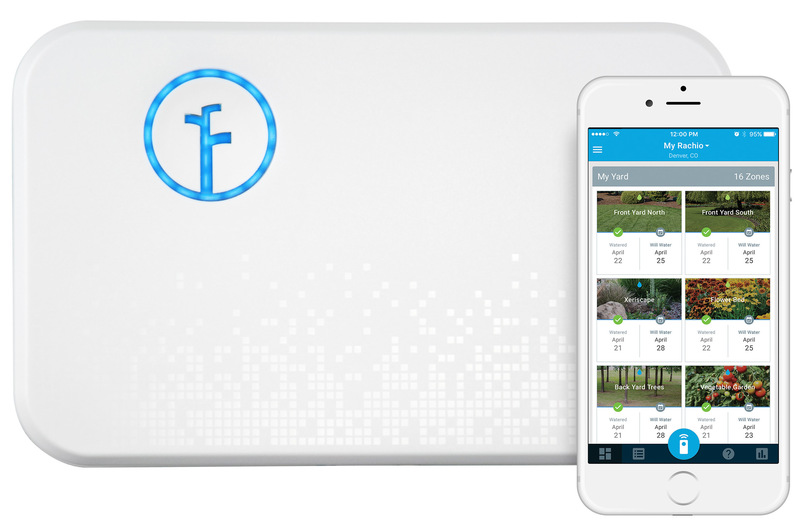 A residential rebate for 100% of the cost of the irrigation controller, taxes and installation costs excluded, up to $200 will be credited to the customer’s account for the installation of a new, qualifying WaterSense certified irrigation controller. For commercial and landscape customers the rebate is for $50 per active irrigation station. All rebates are subject to the availability of funds. Receive a $50 rebate for purchasing and installing a rain barrel. Thornton will rebate a maximum of two 55 gallon rain barrels per account. Thornton is offering a $25 rebate for residential rain sensor devices purchased and installed into automatic sprinkler systems. Commercial rain sensor rebates are $100 per device. Thornton Water wants to reward water customers that replace their turf with water-wise landscaping. Receive $1 per sq. ft. for approved and installed low-water landscape (up to 1000 sq. ft.). Rebates may be considered taxable income by the IRS. Consult a tax professional for more information. This program was designed for water customers in need of a toilet upgrade, who do not have the resources to purchase a toilet and have it installed, as required by Thornton's rebate program. To qualify for this program you must be a 2018/2019 Thornton CARES water assistance participant receiving assistance on your water bill. You must sign-up or have already received a FREE Home Water Use Consultation through the Center for ReSource Conservation. If you qualify, a Center for ReSource Conservation technician will come to your home to conduct a Home Water Use Consultation and install up to 2 Niagara Stealth toilets, or other comparable model. Owners of the home will be asked to sign a liability waiver before toilet installations can proceed. This is for 10" or larger rough-in and flange set-up. Water customers can call 303-999-3824 to see if they qualify and sign-up. For more information visit http://conservationcenter.org/high-efficiency-toilet-upgrade/. 4. Recommendations for saving water indoors. 1. Save money on your water bill. 2. Improve the appearance of your landscape. 3. Increase your water efficiency. 4. Maximize the life-span and effectiveness of your sprinkling system. 5. Receive a personalized watering schedule. Sprinkler consultations will be take place June through August, and will be scheduled in the order requests are received. There is limited amount of appointments available so don't wait, sign up today! Click on the following links to sign up for this free service residential customers, commercial or HOA customers or call 303-999-3824. Looking to save water by making landscape changes? Thornton is partnering with Resource Central to provide free landscape design consultations to City of Thornton residential water customers. Each 45 minute one-on-one session will be performed by a professionally trained landscape consultant. 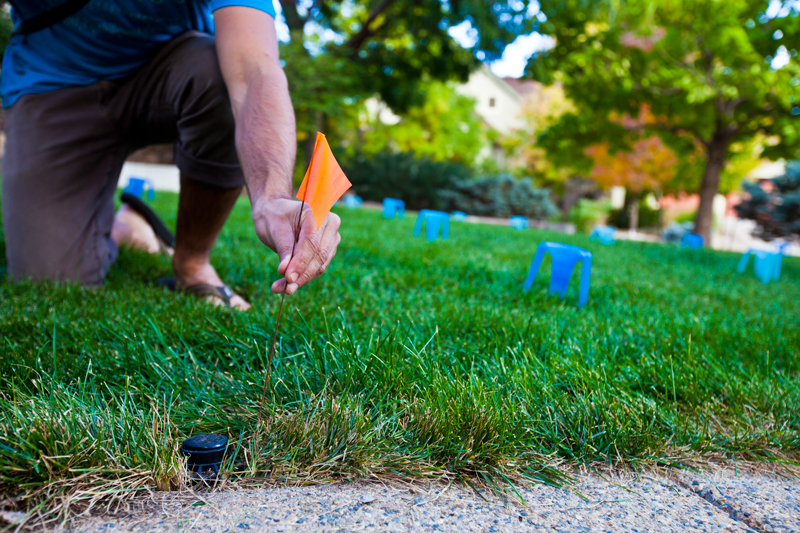 You will recieve a landscape assessment, education on how to remove turf, landscape design recommendations and a list of action items to help you transform your lawn into the water-wise garden of your dreams. Space is limited, register now by calling 303-999-3824 or sign-up online here. Bring us your old, water-wasting shower head, and we'll give you a new water-wise shower head for FREE! Shower heads installed prior to 1994 qualify for replacement. The shower heads provided by the City are rated at 2.0 gallons per minute. Call 720-977-6600 to make an appointment to bring your shower head along with your driver's license or water bill to 12450 Washington Street, Thornton, CO 80241. There is a limit of 2 showerheads per household please. The Water Resources Division will provide a free home water conservation audit kit while supplies last. The kit contains toilet dye tablets, a flow measurement bag, 2.0 gpm shower head and other water saving tools. To request a kit, Thornton water customers can call 720-977-6600 or email Water@ThorntonWater.com . The Thornton Water Assistance Program is intended to provide short-term, payment assistance to water utility customers meeting qualifying criteria. For more information about criteria and funding available visit thorntoncares.com/water.html or call Utility Billing at 303-538-7370 for more information. If you qualify for water assistance, you may also qualify for up to 2 free WaterSense toilet upgrades with installation. See Thornton Cares Water Assistance Toilet Upgrades under the rebate section for more info. Garden In A Box, a selection of professionally designed, perennial gardens that use Xeric (low-water) plants, offers residents a simple approach to an eye-catching yard. These do it yourself garden kits feature 14-32 locally grown starter plants, 1-4 professionally designed plant by number maps, and a comprehensive Plant and Care Guide that makes you an instant planting pro. 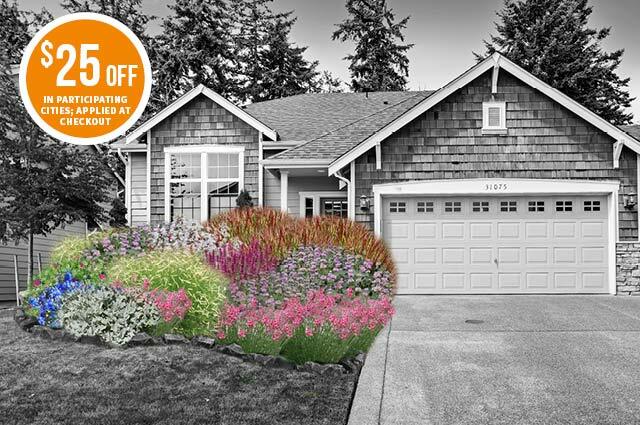 Whether you are looking to redesign a portion of your yard, attract bees and butterflies, or simply increase your curb appeal, Garden In A Box makes it easy! 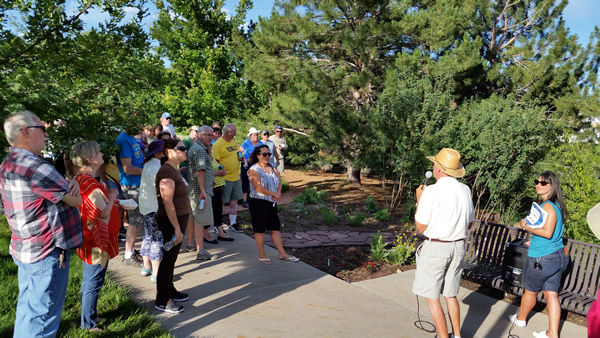 Gardens are offered by the city of Thornton in partnership with Resource Central in support of our community’s commitment to water conservation. As a city of Thornton customer you are eligible for a $25 discount while supplies last. View the 2019 Spring Garden Collection Here! Soak up some gardening knowledge at a free water-wise garden tour or open house. Sign up today! H2Overhaul is a water-wise initiative that provides programs and resources to transform thirsty lawns into beautiful water-saving landscapes. Click here to learn more.